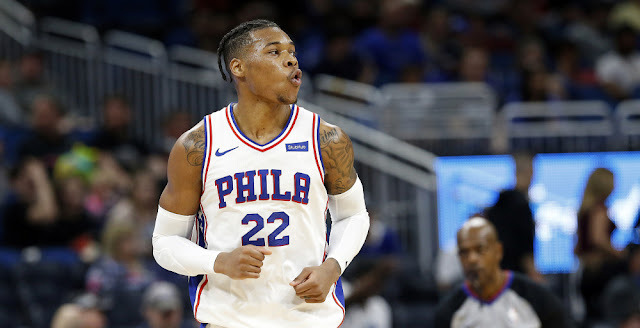 The Philadelphia 76ers announced that the Phoenix Suns have acquired center Richaun Holmes from them for just cash considerations. OFFICIAL: The team trades player contract of Richaun Holmes to Phoenix in exchange for cash considerations. With the incoming arrival of Jonah Bolden, Holmes was the odd man out in Philadelphia’s rotation of bigs. He took to Twitter to say his final goodbyes. Holmes—who averaged 6.5 points, 4.4 rebounds, 1.3 assists, and 0.6 blocks in 15.5 minutes per game—has been working out with former NBA player and Martin Luther King High School coach Sean Colson.